When you deploy a Fuse application, you can use both the Fuse Console (Hawtio) and Prometheus to monitor and interact with Red Hat Fuse integrations. The Fuse Console is a web-based console that you access from a browser to monitor and manage a running Fuse container. The Fuse Console is based on Hawtio open source software (http://hawt.io/). Prometheus (https://prometheus.io/docs/introduction/overview/) stores system and integration-level metrics for Fuse distributions. You can use a graphical analytics interface, such as Grafana, to view and analyze the stored historical data. The audience for this guide is Red Hat Fuse administrators. This guide assumes that you are familiar with the Red Hat Fuse platform, Apache Camel, and the processing requirements for your organization. The Fuse Console provides a central interface to examine and manage the details of one or more deployed Fuse containers. You can also monitor Red Hat Fuse and system resources, perform updates, and start or stop services. The Fuse Console is a web-based console. For a list of supported browsers, go to https://access.redhat.com/articles/310603. Prometheus is container-native software built for storing historical data and for monitoring large, scalable systems of which Fuse on OpenShift is a component. It gathers data over an extended time, rather than just for the currently running session. You can deploy the Fuse Console either from the OpenShift Console or from the command line. Security and user management for the Fuse Console is handled by OpenShift. The Fuse Console templates configure end-to-end encryption by default so that your Fuse Console requests are secured end-to-end, from the browser to the in-cluster services. Role-based access control (for users accessing the Fuse Console after it is deployed) is not yet available for Fuse on OpenShift. The cluster mode template is only available, by default, on the latest version of the OpenShift Container Platform. It is not provided with the OpenShift Online default catalog. In the OpenShift console, open an existing project or create a new project. Select Add to Project → Browse Catalog. The Select an item to add to the current project page opens. In the Search field, type Fuse Console. The Red Hat Fuse 7.x Console item should appear as the search result. If the Red Hat Fuse Console item does not appear as the search result, or if the item that appears is not the latest version, you can install the Fuse Console templates manually as described in the "Prepare the OpenShift server" section of the Fuse on OpenShift Guide. Click the Red Hat Fuse Console item. The Red Hat Fuse Console wizard opens. Click Next. The Configuration page of the wizard opens. Optionally, you can change the default values of the configuration parameters. The Results page of the wizard indicates that the Red Hat Fuse Console has been created. Click the Continue to the project overview link to verify that the Fuse Console application is added to the project. To open the Fuse Console, click the provided URL link and then log in. An Authorize Access page opens in the browser listing the required permissions. The Fuse Console opens in the browser and shows the Fuse pods running in the project. Click Connect for the application that you want to view. A new browser window opens showing the application in the Fuse Console. Table 1.1, “Fuse Console templates” describes the two OpenShift templates that you can use to access the Fuse Console from the command line, depending on the type of Fuse application deployment. Use an OAuth client that requires the cluster-admin role to be created. The Fuse Console can discover and connect to Fuse applications deployed across multiple namespaces or projects. Use a service account as OAuth client, which only requires the admin role in a project to be created. This restricts the Fuse Console access to this single project, and as such acts as a single tenant deployment. You can omit the route_hostname parameter for the namespace template because OpenShift automatically generates one. To access the Fuse Console from a browser, use the provided URL (for example, https://fuse-console.192.168.64.12.nip.io). Add hawtio-springboot to your Fuse application’s pom.xml file dependencies. Note that you do not need to specify the version because it is provided by the Maven BOM. 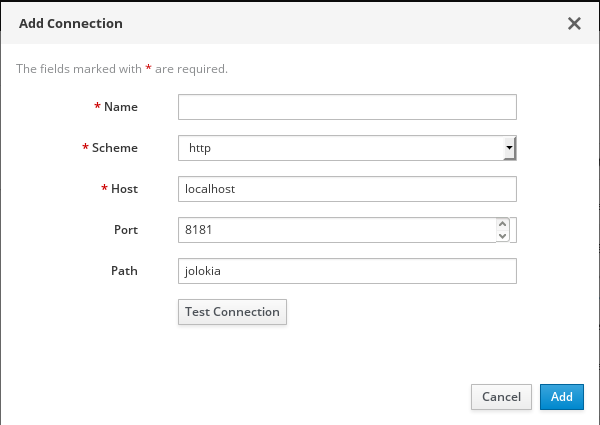 Before you can access the Fuse Console for Red Hat JBoss Enterprise Application Platform, you must install Fuse on the JBoss EAP container. For step-by-step instructions, see Installing on JBoss EAP. In the login page, enter your user name and password and then click Log In. By default, the Fuse Console shows the Home page. The left navigation tabs indicate the running plugins. If the main Fuse Console page takes a long time to display in the browser, you might need to reduce the number and the size of the log files. You can use the periodic-size-rotating-file-handler to rotate the file when it reaches a maximum size (rotate-size) and maintains a number of files (max-backup-index). For details on how to use this handler, see the Red Hat JBoss Enterprise Application Platform product documentation. Install Fuse on the Karaf container. For step-by-step instructions, see Installing on Apache Karaf. The Karaf console starts and shows version information, the default Fuse Console URL, and a list of common commands. You can use the hawtio.http.strictTransportSecurity property to require web browsers to use the secure HTTPS protocol to access the Fuse Console. This property specifies that web browsers that try to use HTTP to access the Fuse Console must automatically convert the request to use HTTPS. For a description of the property’s syntax, see the description page for the HTTP Strict Transport Security (HSTS) response header. You can use the hawtio.http.publicKeyPins property to secure the HTTPS protocol by telling the web browser to associate a specific cryptographic public key with the Fuse Console to decrease the risk of “man-in-the-middle” attacks with forged certificates. For a description of the property’s syntax, including instructions on how to extract the Base64 encoded public key, see the description page for the HTTP Public Key Pinning response header. SSL/TLS security is not enabled by default for the Fuse Console. It is recommended that you enable SSL/TLS security on the Fuse Console to protect username/password credentials from snooping. For detailed instructions on how to enable SSL/TLS security, see the "Enabling SSL/TLS for Undertow in an Apache Karaf container" section in the Apache Karaf Security Guide. For this release, role-based access control for the Fuse Console is only enabled for Fuse on Karaf standalone. The operations that an authenticated user is allowed to perform depend on the role (or roles) assigned to that user, as listed in Table 2.1, “Role-based access on Karaf standalone”. Ensure that a user has the necessary user role authorization to perform the Fuse Console operations that the user needs to perform. Open the Red Hat Fuse etc/users.properties file in an editor. Add an entry for the user name, password, and role. For example, the following entry in the etc/users.properties file defines the admin user and grants the admin role. For more information on role-based access control, see Deploying into Apache Karaf. On OpenShift, after you add the Red Hat Fuse Console application to an OpenShift project, follow these steps to update the branding. In the OpenShift web console, open the project that contains the Fuse Console application. Select Resources → Config Maps. In the list of Config Maps, select the Fuse Console config map. In the about section, you can edit the text that appears in the Fuse Console About modal window, which is accessible from the Help menu. In the branding section, you can edit the image that appears in the vertical navigation bar of the Fuse Console and the title of the Fuse Console browser tab. Select Actions → Edit, and then edit the configuration. Redeploy the Fuse Console application. Open the URL for the new Fuse Console deployment to view the branding changes. The war file’s style sheet (.css) file to modify other aspects of the Fuse Console UI. If you have already run the Fuse Console in a web browser, the branding is stored in the browser’s local storage. To use new branding settings, you must clear the browser’s local storage. If the display of the queues and connections in the Fuse Console is missing queues, missing connections, or displaying inconsistent icons, adjust the Jolokia collection size parameter that specifies the maximum number of elements in an array that Jolokia marshals in a response. In the upper right corner of the Fuse Console, click the user icon and then click Preferences. Increase the value of the Maximum collection size option (the default is 50,000). How you disable the Fuse Console depends on your Fuse distribution. For OpenShift, the Fuse Console is not enabled by default. For Spring Boot, the Fuse Console is not enabled by default. Undeploy the Fuse Console by using the JBoss EAP admin console or command line interface. The bundle goes into the resolved state and you can no longer access the Fuse Console. For more information about managing bundles, see the "Lifecycle Management" chapter of Deploying into Apache Karaf. When you login to the Fuse Console for OpenShift, the Fuse Console home page shows the available containers. To manage (create, edit, or delete) containers, use the OpenShift console. To view Fuse applications on the OpenShift cluster, click the Online tab. The Fuse Console uses Jolokia, an agent-based approach to Java Management Extensions (JMX) that requires extra software (an agent) installed on the client. By default, Red Hat Fuse includes a jolokia agent. With standalone Fuse Console distributions, you can connect to remote integrations that already have a jolokia agent (https://jolokia.org/) running inside them. If the process that you want to connect to does not have a jolokia agent inside, refer to the jolokia documentation (http://jolokia.org/agent.html). By default, Jolokia for Fuse 7 standalone (on Apache Karaf} and JBoss EAP) is locked and the Fuse Console is not accessible remotely. Open the jolokia-access.xml file in an editor. On Karaf, the XML file is located in the $KARAF_HOME/etc folder. On JBoss EAP, it is located in the $EAP_HOME/standalone/configuration folder. Register the hostnames or IP addresses for the Fuse integrations that you want to access with the Fuse console by adding them to the <cors> section. By default, only CORS access within localhost is allowed for maximum security. You can add trusted hostnames in the <cors> section to unlock CORS access from them. Optionally, you can restrict remote access to the Fuse Console for specific hosts and IP addresses. In the jolokia-access.xml file, add or edit a <remote> section that contains one or more <host> elements. For the <host> element, you can specify an IP address, a host name, or a netmask given in CIDR format (for example, 10.0.0.0/16 for all clients coming from the 10.0 network). The following example allows access from localhost and all clients whose IP addresses start with 10.0. For all other IP addresses, access is denied. For more details, see the Jolokia security documentation (https://jolokia.org/reference/html/security.html). Before you begin, you need to know the connection details (host name, port, and path) of the remote Jolokia agent. As a system administrator, you can change these defaults. Typically, the URL to remotely connect to a Jolokia agent is the URL to open the Fuse Console plus /jolokia. For example, if the URL to open the Fuse Console is http://<host>:1234/hawtio, then the URL to remotely connect to it would probably be http://<host>:1234/hawtio/jolokia. Click the Remote tab, and then Add connection. Type the Name, Scheme (HTTP or HTTPS), and the hostname. The Fuse Console automatically probes the local network interfaces other than localhost and 127.0.0.1 and adds them to the whitelist. Hence, you do not need to manually register the local machine’s addresses to the whitelist. You can change the following Jolokia preferences, for example, if you want to more frequently refresh data that displays in the Fuse Console. Note that increasing the frequency of data updates impacts networking traffic and increases the number of requests made to the server. Update rate - The period between polls to Jolokia to fetch JMX data (the default is 5 seconds). Maximum depth - The number of levels that Jolokia will marshal an object to JSON on the server side before returning (the default is 7). Maximum collection size - The maximum number of elements in an array that Jolokia marshals in a response (the default is 50,000). In the upper right of the Fuse Console, click the user icon and then click Preferences. Edit the options and then click Close. To view JVM runtime information, such as system properties, metrics, and threads, click the Runtime tab. In the Fuse Console’s Camel tab, you view and manage Apache Camel contexts, routes, and dependencies. The Camel tab is only available when you connect to a container that uses one or more Camel routes. Managing the lifecycle of all Camel applications and their routes, so you can restart, stop, pause, resume, etc. In the Camel tab’s tree view, click Camel Contexts. Check the box next to one or more contexts in the list. To delete a context, you must first stop it. Then click the ellipse icon and select Delete from the dropdown menu. When you delete a context, you remove it from the deployed application. In the Camel tab’s tree view, click a Camel application. To view a list of application attributes and values, click Attributes. Click Edit to select the attributes that you want to see in the chart. To view inflight and blocked exchanges, click Exchanges. To view application endpoints, click Endpoints. You can filter the list by URL, Route ID, and direction. Click Type Converters to view, enable, and disable statistics related to the Camel built-in type conversion mechanism, that is used to convert message bodies and message headers to different types. Click Operations to view and execute JMX operations, such as adding or updating routes from XML or finding all Camel components available in the classpath. Check the box next to one or more routes in the list. To delete a route, you must first stop it. Then click the ellipse icon and select Delete from the dropdown menu. When you delete a route, you remove it from the deployed application. You can also select a specific route in the tree view and then click the upper-right menu to start, stop, or delete it. To view a graphical diagram of the routes, click Route Diagram. To view endpoints, click Endpoints. You can filter the list by URL, Route ID, and direction. Click Type Converters to view, enable, and disable statistics related to the Camel built-in type conversion mechanism, which is used to convert message bodies and message headers to different types. In the Camel tab’s tree view, select a route. To view a list of route attributes and values, click Attributes. To view a graphical representation of the route attributes, click Chart. You can click Edit to select the attributes that you want to see in the chart. Click Operations to view and execute JMX operations on the route, such as dumping the route as XML or getting the route’s Camel ID value. Select Trace, and then click Start tracing. In the Camel tab’s tree view, open the context’s endpoints folder and then select an endpoint. Configure the message in JSON or XML format. Return to the route’s Trace tab to view the flow of messages through the route. Select Debug, and then click Start debugging. Click the down arrow to step to the next node or the Play button to resume running the route. Click the Pause button to suspend all threads for the route. Click Stop debugging when you are done. All breakpoints are cleared. Java Management Extensions (JMX) is a Java technology that allows you to manage resources (services, devices, and applications) dynamically at runtime. The resources are represented by objects called MBeans (for Managed Bean). You can manage and monitor resources as soon as they are created, implemented, or installed. With the JMX plugin on the Fuse Console, you can view and manage JMX domains and MBeans. You can view MBean attributes, run commands, and create charts that show statistics for the MBeans. The JMX tab provides a tree view of the active JMX domains and MBeans organized in folders. You can view details and execute commands on the MBeans. In the tree view, select an MBean. Click an attribute to see its details. Click the Operations tab, expand one of the listed operations. Click Execute to run the operation. In the tree view, select an item. For Apache Karaf standalone distributions, you can view and manage the Red Hat Fuse OSGi environment. You can view and manage container bundles, features, and configurations, as well as Java packages and OSGi services. List of installed bundles. You can install and uninstall bundles, start and stop bundles, and edit bundle properties. You can also filter the list and toggle between list and grid view. List of available features. You can install and uninstall features or feature repositories, and drill down to view feature details. List of installed Java packages. You can view package versions and associated bundles. List of running services. You can view service IDs, associated bundles and object classes. List of declarative OSGi services. You can view the service state and drill down to view service details. You can also activate and deactivate services. Detailed information about the local or remote host in read-only mode. Configuration options for the container OSGi framework. You can set the framework start level and the initial bundle start level. List of configuration objects. You can view the state of each object and drill down to view or edit object details. You can also create a new configuration object. Click the Runtime tab and then the Threads subtab. The Threads page lists active threads and stack trace details for each thread. By default, the thread list shows all threads in descending ID order. To sort the list by increasing ID, click the ID column label. Optionally, filter the list by thread state (for example, Blocked) or by thread name. To drill down to detailed information for a specific thread, such as the lock class name and full stack trace for that thread, in the Actions column, click More. You can view log entries for Red Hat Fuse in the Logs tab. The Logs tab is available (for Fuse standalone on Karaf and Fuse standalone on JBoss EAP) when the Java application has the Log MBean available . You can filter the list of logs to show specific log types, and drill down to each log entry to view detailed information about the log entry. Options to filter the log entries section according to a text string or the logging level. List view of the log entries. By default, the list shows log entries in ascending order. You can change the default sorting in the User → Preferences → Server Logs page. Click the log entry link to drill down to details about the log entry, such as the bundle name, thread, and the full message text. The number of log statements to keep in the Fuse Console (the default is 100). The global log level: INFO (the default), OFF, ERROR, WARN, and DEBUG. The child-level Hawtio messages to include, such as hawtio-oauth and hawtio-core-utils. To reset the Console Logs settings to the default values, click Reset → Reset settings. You can use Prometheus to monitor and store Fuse on OpenShift data by exposing endpoints with your Fuse application’s data to Prometheus format. Prometheus stores the data so that you can use a graphical tool, such as Grafana, to visualize and run queries on the data. You can use Prometheus to monitor Fuse applications that are running on an on-premise OpenShift cluster or on a single-node cluster, such as Minishift or the Red Hat Container Development Kit. For information on installing and developing with Red Hat Fuse on OpenShift, see the Fuse on OpenShift Guide. Using Prometheus to monitor Fuse applications on OpenShift Online is not supported. To set up Prometheus, install the Prometheus operator custom resource definition on the cluster and then add Prometheus to an OpenShift project that includes a Fuse application. You have system administrator access to the OpenShift cluster. You have prepared the OpenShift cluster by installing the Fuse on OpenShift images and templates as described in the Fuse on OpenShift Guide. You have created an OpenShift project on the cluster and added a Fuse application to it. The Prometheus operator is now available to any namespace on the cluster. The first time that you install the Prometheus operator into a namespace, it might take a few minutes for the Prometheus resource pods to start. Subsequently, if you install it to other namespaces on your cluster, the Prometheus resource pods start much faster. Login to the OpenShift console. Open the project to which you added Prometheus. In the left pane, select Applications → Routes. Click the Prometheus Hostname URL to open the Prometheus dashboard in a new browser tab or window. The host address to bind. If set, disables the activation of Prometheus (echoes an empty value). Uses the file (including path) as the Prometheus configuration file. The /opt/prometheus/prometheus-config.yml file with Camel metrics. Additional options to append to the JMX exporter configuration. For information on setting environment variables for a pod, see the OpenShift Developer Guide (https://access.redhat.com/documentation/en-us/openshift_container_platform/3.11/html/developer_guide/). By default, Prometheus uses a configuration file ( https://github.com/fabric8io-images/s2i/blob/master/java/images/rhel/prometheus-config.yml) that includes all possible metrics exposed by Camel. If you have custom metrics within your application that you want Prometheus to monitor and collect (for example, the number of orders that your application processes), you can use your own configuration file. Note that the metrics that you can identify are limited to those supplied in JMX. Create a custom Prometheus configuration file. You can use the contents of the default file (prometheus-config.yml https://github.com/fabric8io-images/s2i/blob/master/java/images/rhel/prometheus-config.yml) as a guide for the format. You can use any name for the custom configuration file, for example: my-prometheus-config.yml. Add your prometheus configuration file (for example, my-prometheus-config.yml) to your application’s src/main/fabric8-includes directory. This environment variable applies to your application at the pod level. Rebuild and deploy your application. 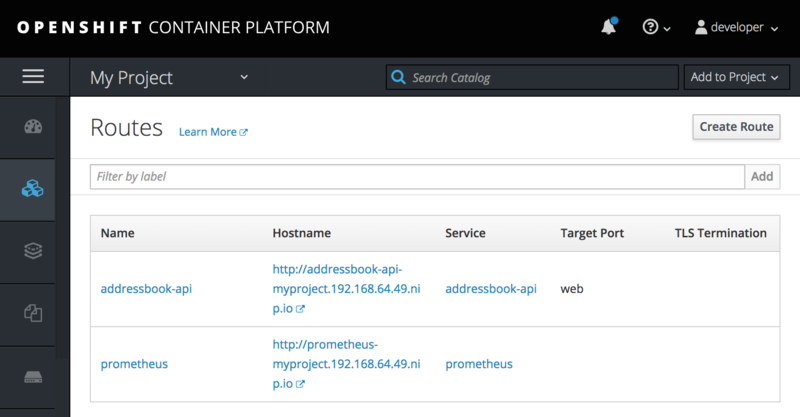 When you install Fuse Online on OpenShift Container Platform, a syndesis-prometheus instance is included by default. For detailed instructions on how to install Fuse Online on premise OpenShift Container Platform, see Integrating Applications with Fuse Online. However, if you already have an existing external Prometheus instance, you can configure that external instance to also monitor Fuse Online Integration applications that are deployed on OpenShift Container Platform. The steps depend on whether you used the Prometheus operator to install your external Prometheus instance. If you installed a Prometheus instance by using the Prometheus operator, updating your external Prometheus configuration to monitor Fuse Online integration involves adding and then editing a service monitor. You installed Prometheus as described in Section 6.1, “Setting up Prometheus”. In the OpenShift console, open the project and then select Applications → Services. 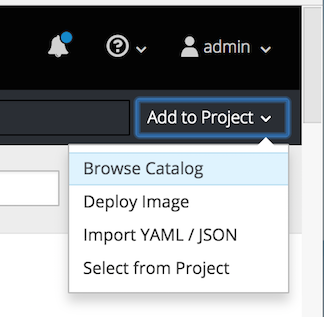 Click the fuseonline service and then select Actions → Edit YAML. In the Editor, change the selector section of the YAML file by replacing app: fuseonline with syndesis.io/type: integration. The Prometheus operator updates its configuration to monitor all Fuse Online integrations. If you installed an external Prometheus instance without using the Prometheus operator, updating the configuration to monitor Fuse Online integration involves editing your Prometheus configuration file and updating the Prometheus pod configuration. You must have write access to the Prometheus configuration file (prometheus-config.yml). In the OpenShift web console, the configuration file is located in Resources → Config Maps. Only scrapes integration pods with the prometheus.io/scrape label set to true. Sets the metrics_path and address labels, that are used to scrape the JMX exporter in the integration pod, by using values from the prometheus.io/path and prometheus.io/port labels. Adds pod labels and annotations as Prometheus labels. Creates kubernetes_namespace and kubernetes_pod_name labels. Fuse Online integrations expose a large number of metrics from the JVM, Camel and CXF. To reduce the amount of storage needed for metrics, add the following metric_relabel_configs section to filter out metrics that are not displayed in the Fuse Online console. The last configuration line explicitly lists metrics to be added in Prometheus metrics store that are critical to the statistics shown in the Fuse Online web console. Your Prometheus instance must explicitly allow these metrics to be collected if other metrics are being filtered.